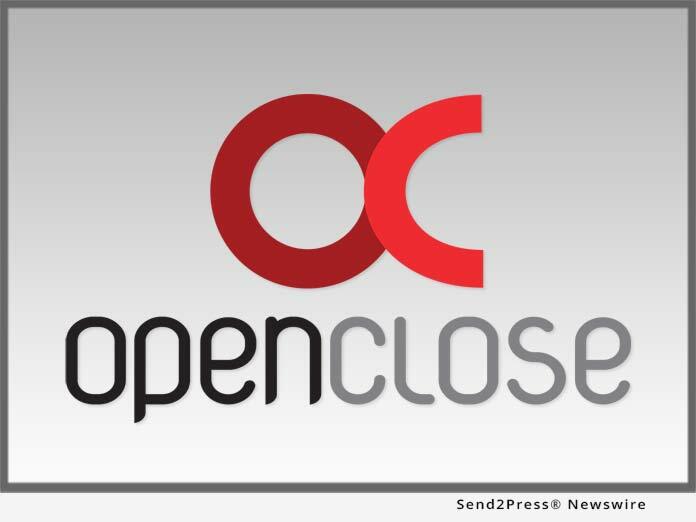 WEST PALM BEACH, Fla., Feb 16, 2018 (SEND2PRESS NEWSWIRE) — OpenClose(R), an industry-leading multi-channel loan origination system (LOS) and mortgage fintech provider, announced that it has added staff to its integration and customer support departments. The new hires will help enhance OpenClose’s existing software products, facilitate digital mortgage processes, produce fintech-level innovation and provide excellence in customer support. The company also recently added three senior software engineers to its development team. Julie Hoefs comes to OpenClose as a previous user of its LenderAssist(TM) LOS and integrated best-of-breed mortgage fintech, compliance, analytics and reporting solutions. She has experience managing all aspects of mortgage loan processing, mortgage servicing and loan purchase activity. In addition, Hoefs has overseen loan operations at Two Rivers Bank and was the assistant manager for lending operations at Fremont National Bank & Trust Co. At OpenClose, Hoefs will work on the support team where she will focus on new best-of-breed software partner interfaces and enhancements. Kenneth Kerfoot was added to the OpenClose integration team, who previously was the LOS manager at University Bank. Prior to this, he was the implementation coordinator at Mortgage Builder/Altisource. At the company, he also held the positions of lead support trainer and account specialist. Over the course of his career, Kenneth Kerfoot has worked for LOS vendor Dynatek and lenders such as United Wholesale Mortgage (UWM), Washtenaw Mortgage, Sigma Financial Corporation, 1st Rate Mortgage and Interfirst Mortgage. Founded in 1999 and headquartered in West Palm Beach, Florida, OpenClose(R) is a leading enterprise-class, multi-channel loan origination system (LOS) and fintech provider that cost effectively delivers its platform on a software-as-a-service (SaaS) basis. The company provides a variety of innovative, 100 percent web-based solutions for lenders, banks, credit unions, and conduit aggregators. OpenClose’s core solution, LenderAssist(TM), is comprehensive loan origination software that is completely engineered by OpenClose using the same code base from the ground up, thus avoiding the problems that often accompany assembling best-of-breed applications or acquiring disparate technologies in an effort to create an end-to-end platform. The company provides lending organizations with full control of their data and creates a truly seamless workflow for complete automation and compliance adherence.